One may not think of librarians as having a crucial role in the building of a road, bridge or trail, but in the state of Minnesota, they do. Each day, the MnDOT Library locates obscure-but-important information for engineers and transportation practitioners, such as the safety aspects of extra-tall concrete median barriers, the travel patterns of blind pedestrians and the environmental impact of treated lumber used on freeway noise walls. “I like to say, ‘Google gets the easy stuff and we get the really difficult stuff,’ ” said Sheila Hatchell, MnDOT Library Director, who was recently recognized with an Innovation Award from the Special Libraries Association’s Transportation Division for helping transportation libraries demonstrate the value of this work. With few good examples to follow, Hatchell and two peers set out to develop a national guidebook for quantifying the benefits of a special library, in particular a transportation library. 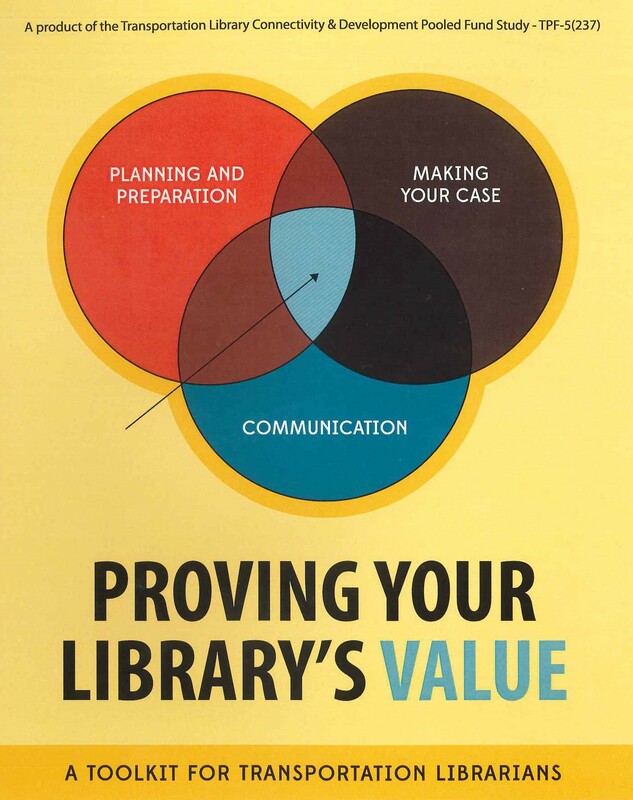 Hatchell spent her weekends researching what other institutions have done and drafting much of the 52-page toolkit, “Proving Your Library’s Value,” which was published in early 2013 through the Transportation Library Connectivity and Development Pooled Fund Study. Soon after, MnDOT put her work into practice, hiring a consultant through the department’s research program to perform a Return-On-Investment (ROI) study on the library. 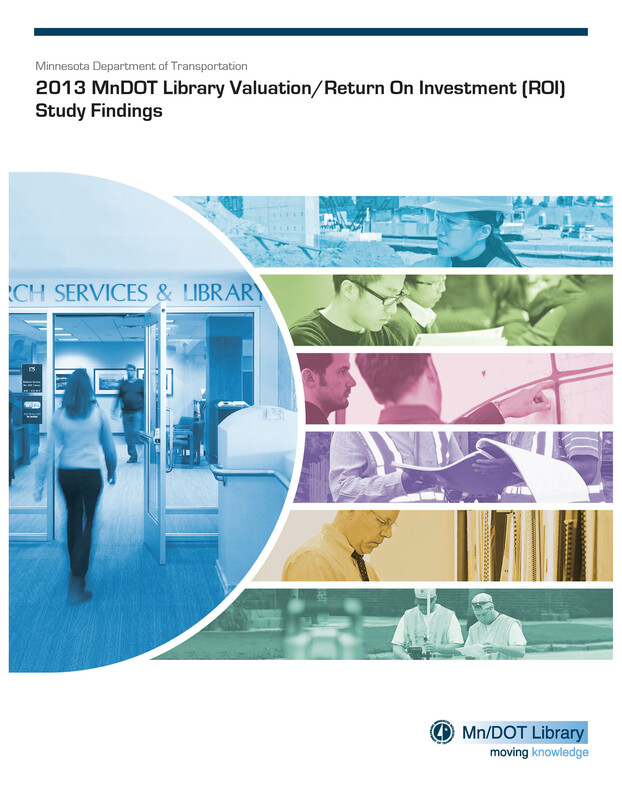 2013 MnDOT Library Valuation/Return On Investment (ROI) Study Findings details the tangible and intangible savings realized from MnDOT’s library. The study determined that for every $1 spent, the library produced nearly $2 worth of value — mostly due to the dollar value of research that might otherwise be provided by a paid consultant. The dollar figure doesn’t include the intangible value such information provides transportation projects. In 2012, the MnDOT Library responded to more than 2,100 requests for information — many which took days or weeks to track down. They also loaned out nearly 3,800 items, routed 10,887 journal issues and distributed more than 560 journals and books borrowed from other libraries. “A lot of people use the library and don’t even know it,” Hatchell said, since much of the data is shared with a wider audience. Hatchell was asked to speak about her research this week at the Texas Library Association Annual Conference.